Today’s challenging healthcare environment demands a data-driven approach to managing your imaging service lines. 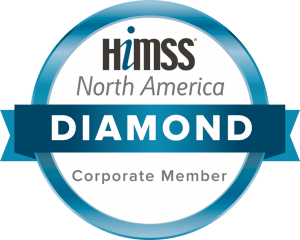 Until recently, however, assembling the data necessary to provide a holistic view of your clinical, financial and operational data was nearly impossible. decisions – through a suite of purpose-built business intelligence applications. Intelligence Codex is your new single source of truth. Strategically manage your entire organization’s fleet of imaging modalities. Manage MR coil and US transducer utilization. Gain accurate visibility into all modality utilization, including mobile devices. Share and display customizable dashboards to monitor performance. Discover and resolve unwanted variations in acquisition workflow. Optimize protocols and exam cards with series and instance-level data analysis. Easily share KPIs to propagate best practices throughout your organization. Better manage sites, departments and resources. Enable easy end-user interaction with data through comprehensive dashboards. Free your IT resources from report-generation tasks with self-service data access for users. Streamline the implementation process with easy integration of DICOM data sources and single-server architecture. Integrate your enterprise data warehouse. 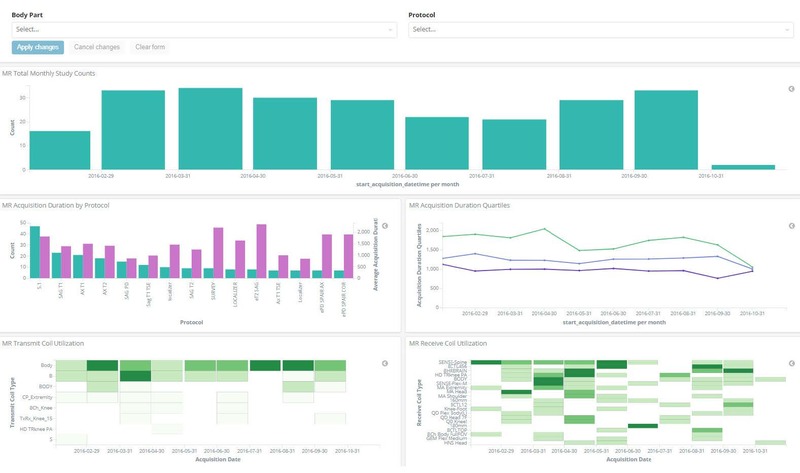 Identify key data elements available for analysis and visualization using Discover. Clearly identify data elements imaging modalities generate. Uncover new insights into acquisition workflow by exploring and filtering key data that only resides in DICOM. Associate data elements into groups for further analysis. Drill-down using filters, and utilize text search to query information stored in DICOM tags. Create intuitive graphical key performance indicators (KPIs) using Visualize. 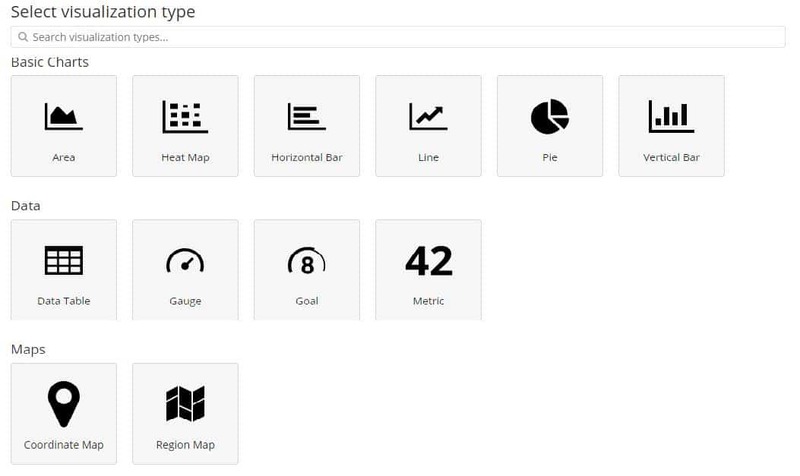 Create user-configurable KPIs using 15 available visualization types, including heat maps, gauges and tag clouds. Share KPIs with others to propagate best practices. Embed KPIs into your own organization’s web pages. Include or exclude specific data to eliminate outliers. 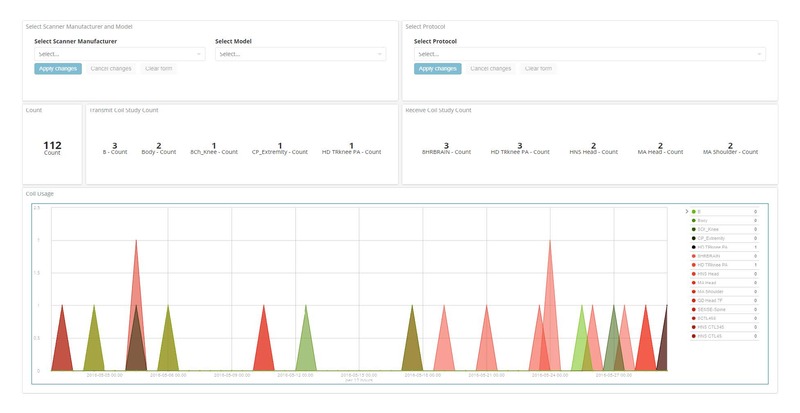 Rapidly configure dashboards to analyze modality-specific scenarios of your acquisition workflow. Evaluate deviations in MR protocol sequences and acquisition idle times. Analyze MR coil usage patterns. Accurately track portable modality utilization. Group your KPIs together to create custom dashboards. Display related KPIs in a unified dashboard view. 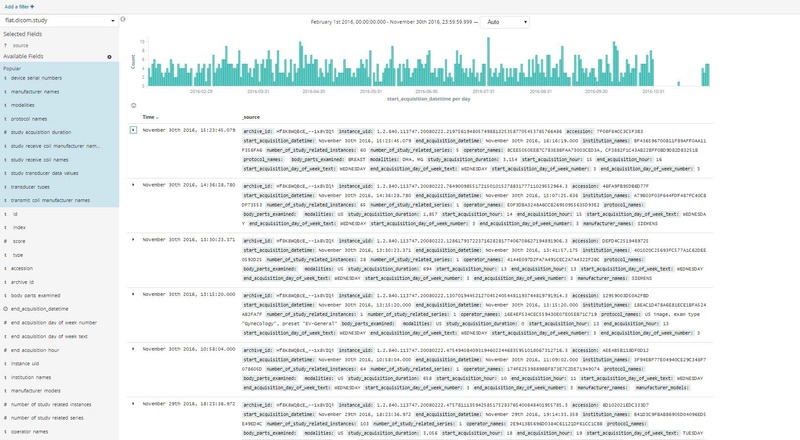 Interact with data in any section of the dashboard for deeper analysis. View live updates to dashboards as exams are performed. Share dashboards with other users, or display them in your own organization’s web pages. Vital’s suite of Practice Management tools reveals the data you need to manage your referring physician base and grow your exam revenue stream. It also provides access to critical data supporting your ability to reduce costs, avoid unnecessary spending and operate your imaging department or freestanding business efficiently. Use our simple calculator to see how using data to manage your business can affect your bottom line. Click on the icons below for resources specific to Codex.